Since the first applications to the treatment of pain with electrical stimulation, numerous newly developed methods, including direct electrical stimulation and drug infusion . . . have made it possible to develop new, very powerful therapeutic approaches to serious clinical conditions. Every new branch soon produces its own ramifications and neuromodulation looks like a very fast-growing tree. For generations, physicians were intrigued by the possibility of harvesting the power of electrical impulses in the human body for therapeutic benefit. The modern era of neuromodulation began in the early 1960s with the use of deep brain stimulation (DBS) to resolve chronic and intractable pain, and evolved to include spinal cord stimulation by the end of the decade. 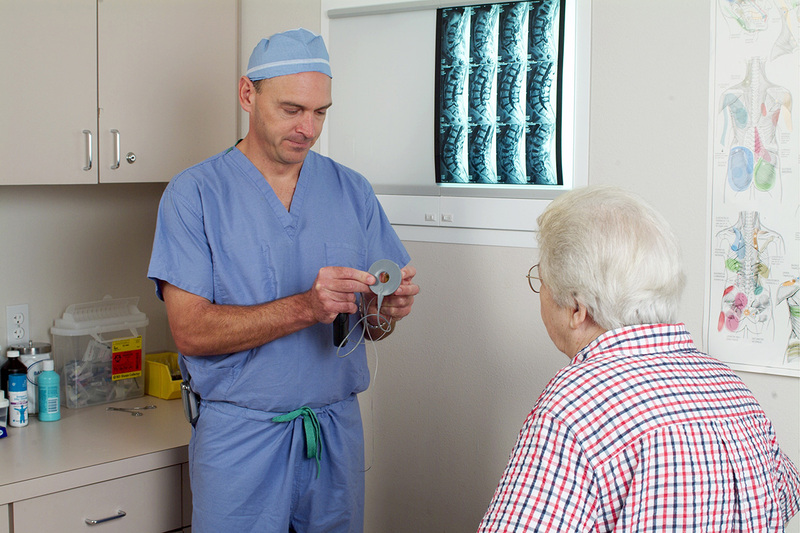 Neurosurgeon C. Norman Shealy has been credited with the first implantable neuromodulatory device for the relief of intractable pain in 1967. His spinal cord stimulators, which he called “dorsal column stimulators,” were intended exclusively for pain relief. These early efforts were not without complications, however, due in large part to mechanical shortcomings of the new devices. By 1974, a group of physicians developed a less-invasive stimulating electrode. Implanting electrodes outside the subarachnoid space enabled stimulation to occur without side effects like spinal cord compression and leakage of cerebro-spinal fluid. See an overview of a brief history of neuromodulation. Neuromodulation is technology that acts directly upon nerves. It is the alteration—or modulation—of nerve activity by delivering electrical or pharmaceutical agents directly to a target area. Most frequently, people think of neuromodulation in the context of chronic pain relief, the most common indication. However, there are a plethora of neuromodulation applications, such as deep brain stimulation (DBS) treatment for Parkinson's disease, sacral nerve stimulation for pelvic disorders and incontinence, and spinal cord stimulation for ischemic disorders (angina, peripheral vascular disease). In addition, neuromodulation devices can stimulate a response where there was previously none, as in the case of a cochlear implant restoring hearing in a deaf patient. And for every existing neuromodulatory treatment, there are many more on the horizon. An emerging technology called BrainGate Neural Interface System has been used to analyze brain signals and translate those signals into cursor movements, allowing severely motor-impaired individuals an alternate “pathway” to control a computer with thought, and offers potential for one day restoring some degree of limb movement. A growing number of disorders can be treated with neuromodulation. Patients may also read about various neuromodulation therapies. Medical professionals, for more therapy-specific information click here. See a history of the International Neuromodulation Society dating back to 1989. Neurostimulation devices involve the application of electrodes to the brain, the spinal cord or peripheral nerves. These precisely placed leads connect via an extension cable to a pulse generator and power source, which generates the necessary electrical stimulation. A low-voltage electrical current passes from the generator to the nerve, and can either inhibit pain signals or stimulate neural impulses where they were previously absent. In the case of pharmacological agents delivered through implanted pumps, the drug can be administered in smaller doses because it does not have to be metabolized and pass through the body before reaching the target area. Smaller doses—in the range of 1/300 of an oral dose—can mean fewer side effects, increased patient comfort and improved quality of life. According to a market research study from Neurotech Reports, the worldwide neuromodulation device industry is expected to grow from $8.4 billion in 2018 to $13.3 billion in 2022. The market for implanted spinal stimulators for treatment of chronic pain was valued at $1.80 billion worldwide in 2014, and expected to grow to $2.88 billion in 2018. Industry observers predict a double-digit compound annual industry growth rate overall. • Spinal cord injuries: 250,000 in the U.S.
• Parkinson disease: 1.5 million in the U.S.
• Urinary incontinence: 13 million adults in the U.S.
To date, neuromodulation is just beginning to be routinely applied as a therapy for appropriately selected patients in these groups. As technologies continue to develop and physician training and adoption increase, the likelihood of neuromodulation therapies touching people’s lives will increase dramatically. More: See an overview about neuromodulation, and explore therapy terms in our glossary.